From July 4 to 7, the Japanese American National Museum will present its fourth national conference, “Speaking Up! Democracy, Justice, Dignity,” at the Seattle Sheraton Hotel. The conference will explore the historic and contemporary connections of the Japanese American experience to local, state, and national histories. This year marks the 25th anniversary of the Civil Liberties Act of 1988, which granted redress to Japanese Americans incarcerated during World War II. Attendees will hear first-hand about the crafting of that legislation, including the factors that led to its creation and the pioneering involvement of the Pacific Northwest’s Japanese American community. There will also be opportunities to hear from those incarcerated in the War Relocation Authority camps of Heart Mountain, Minidoka, Tule Lake, and Manzanar. 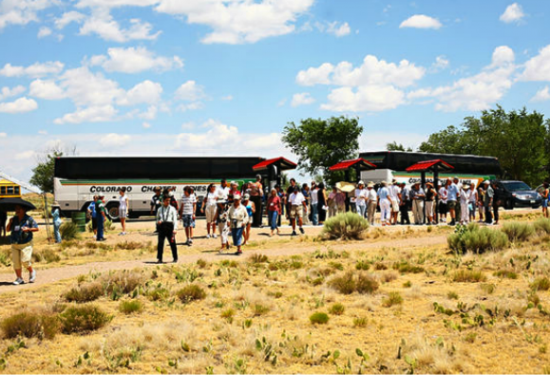 Additionally, special conference bus and walking tours and other activities such as a screening of “Farewell to Manzanar,” a community marketplace, and an expo are being offered to ensure an impactful conference experience for all participants, young and old. “Those familiar with the success of our three previous conferences — in Los Angeles (2002), Little Rock (2004), and Denver (2008) — know that JANM will present a powerful, content-rich, and transformative slate of multiethnic, multigenerational speakers, presentations, and activities,” said a JANM spokesperson. “More than 1,000 participants of all ages and backgrounds from across the country will once again convene to learn and reflect upon the journey endured by the Issei and Nisei, in particular the significance of that journey within the context of the larger American story. “Throughout the conference, participants will encounter many ways to learn and connect to the unique aspects of the Japanese American story. Whether it is from hearing the last remaining first-person voices from the World War II experience to discovering your own family and community history, the conference will transform and inspire all to remember and reflect on the meaning and implications of the issues surrounding civil rights, democracy, and dignity. It is a once-in-a-lifetime opportunity to gather with your family, friends, and others to better understand how the past can shape a better future. Scholarly advisors: Arthur A. Hansen, Ph.D; Lloyd Inui; Tetsuden Kashima, Ph.D.; Gail M. Nomura, Ph.D.; Miyoko Oshima; Stephen H. Sumida, Ph.D.
Preregistration ends June 5. To register or for more information, call (213) 625-0414, ext 2218, email [email protected] or visit www.janm.org/conference2013/.